This program is directed towards the President's initiative of sending astronauts to an asteroid by 2025. The proposed objective is to conduct a 5 day student competition/workshop on designing a manned mission to a Near-Earth Object (NEO). This competition will bring together students from various disciplines, equip them with necessary tools, and challenge them to produce a viable mission design. The student designs could then serve as a starting point for a NASA NEO mission or help identify potential international or commercial collaborations capable of such a mission. 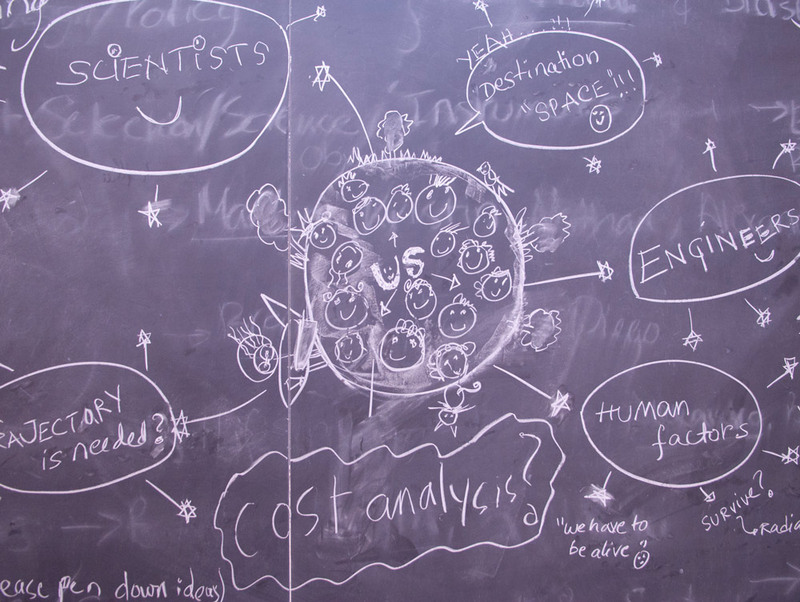 Short courses and workshops will also be provided to participating students on topics such as conceptual mission design, human spaceflight challenges, and recent advances in space studies. 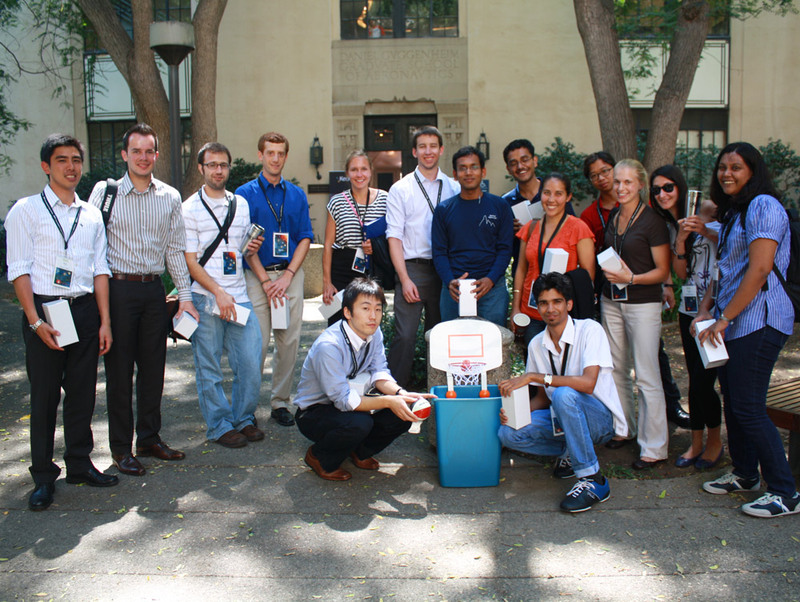 The Keck Institute of Space Studies at the California Institute of Technology invites current fulltime graduate and undergraduate students from all over the world to participate in the Caltech Space Challenge. The challenge consists of an intensive one-week mission design competition where students will be challenged to develop a mission to send astronauts to a Near-Earth Object (NEO) and return a sample. Students will be supported with guest lectures and workshops from top scientists and engineers from NASA-JPL, Caltech and other premier institutions. Participants will be involved in a week-long team exercise to develop a comprehensive 90-180 day manned mission to a Near-Earth Object (NEO) featuring a stay-time on NEO of about 7-14 days and sample return. About 20 student applicants will be invited to the competition with travel and living expenses paid. Students will be divided into two multidisciplinary teams. NASA-JPL and Caltech faculties will mentor the two teams to develop the human to NEO mission based on methodologies followed at NASA-JPL. Teams will prepare and present Preliminary Design Review (PDR) and Comprehensive Design Review (CDR). 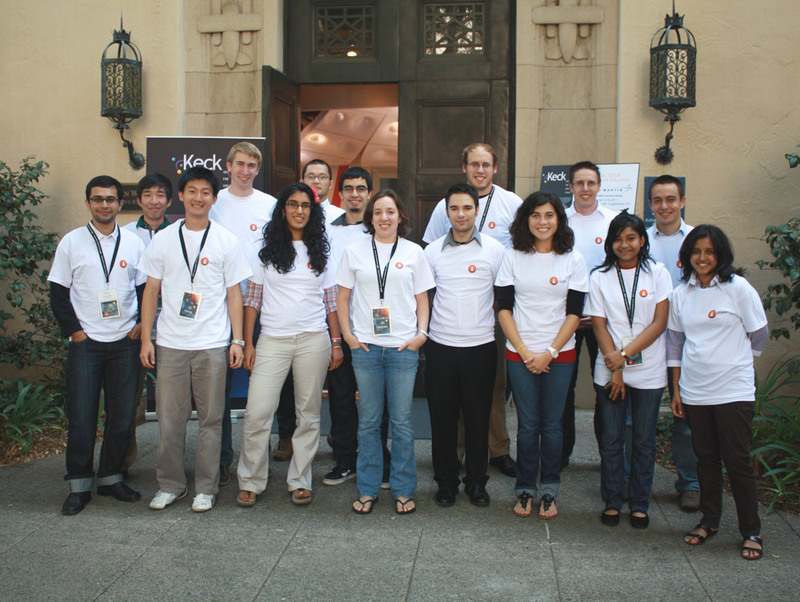 The challenge will conclude with final presentations at Caltech, the submission of a final report, constructive feedback for both teams, and the announcement of the winning team. The report will provide a complete description of the mission design, key technologies needed and their readiness level (TRL), the operating costs, timeline, etc. Students will benefit tremendously by working in a multidisciplinary team, learning about project management and systems engineering. It will also give students the opportunity to connect and interact with top scientists and engineers in industry. This program is directed towards the President's initiative of sending astronauts to an asteroid by 2025. The proposed objective is to conduct a 5 day student competition on designing a manned mission to a Near-Earth Object (NEO). This competition will bring together students from various disciplines, equip them with necessary tools, and challenge them to produce a viable mission design. The student designs could then serve as a starting point for a NASA NEO mission or help identify potential international or commercial collaborations capable of such a mission. Lectures and workshops will also be provided to participating students on topics such as conceptual mission design, human spaceflight challenges, and recent advances in space studies. Apply theoretical and systems engineering knowledge to a real mission design. Provide an atmosphere to work in a highly multidisciplinary and teamwork oriented environment. Develop innovative strategies and solutions which could be applied towards a future mission to a NEO or deep space. Inspire young minds about the space program. 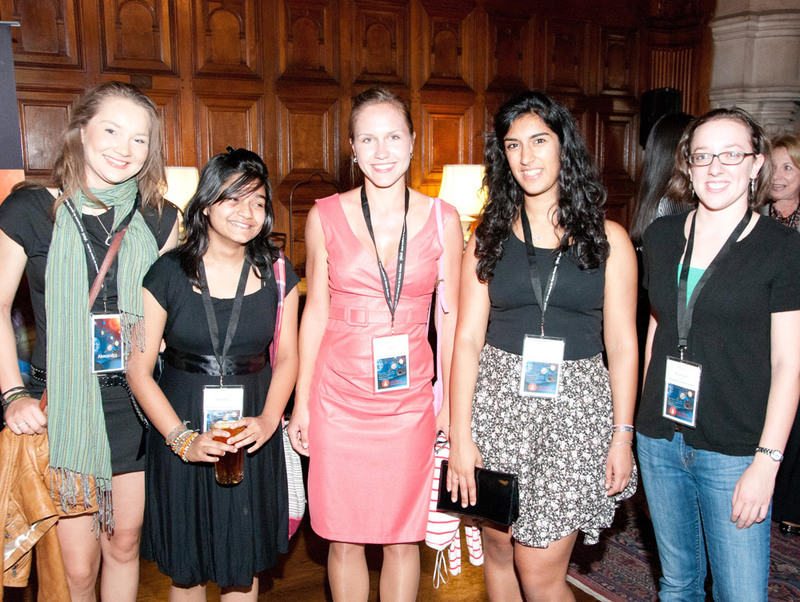 Promote interaction with scientists and engineers from Caltech & JPL. A positive message for space organizations regarding feasibility of manned mission beyond LEO. Undergraduate or graduate students from any nationality. Students are required to submit the described application form online, which includes a short essay, résumé, and letter of recommendation. Since a mission design involves a highly multidisciplinary work force, students from any discipline can apply. All living expenses and food will be covered. Charles Elachi was appointed Director of the Jet Propulsion Laboratory in May, 2001. Dr. Elachi received his B.Sc. ('68) in physics from University of Grenoble, France; the Dipl. Ing. ('68) in engineering from the Polytechnic Institute, Grenoble, and both a M.Sc. ('69) and Ph.D. ('71) degree in electrical sciences from the California Institute of Technology. He also has a M.Sc. ('83) degree in geology from the University of California, Los Angeles, and an MBA ('79) from the University of Southern California. Dr. Elachi joined JPL in 1970. Prior to becoming Director, Dr. Elachi was JPL's Director for Space and Earth Science Programs (beginning in 1982) where he was responsible for the development of numerous flight missions and instruments for Earth observation, planetary exploration and astrophysics. 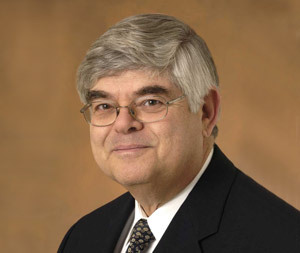 In 1989 Dr. Elachi was elected to the National Academy of Engineering and has served on a number of academy committees. Dr. Elachi has received numerous awards, including the "Chevalier de la Légion d'Honneur, France" (2011), Space Foundation J.E. Hill Lifetime Space Achievement Award (2011), AIAA Carl Sagan Award (2011), Occidental College honorary Doctor of Science degree (2011), Sigma Xi William Procter Prize for Scientific Achievement (2008), International von Kármán Wings Award (2007), the America's Best Leaders by U.S. News & World Report and the Center for Public Leadership at Harvard University's Kennedy School of Government (2006), the Royal Society of London Massey Award (2006), the Lebanon Order of Cedars (2006), the Philip Habib Award for Distinguished Public Service (2006), the American Astronautical Society Space Flight Award (2005), the Bob Hope Distinguished Citizen Award (2005), NASA Outstanding Leadership Medal (2004, 2002, 1994), Takeda Award (2002), the Wernher von Braun Award (2002), UCLA Dept. of Earth and Science Distinguished Alumni Award (2002), Dryden Award (2000), NASA Distinguished Service Medal (1999), the COSPAR Nordberg Medal (1996), the NASA Outstanding Leadership Medal (1994), the IEEE Medal of Engineering Excellence (1992), the IEEE Geoscience and Remote Sensing Distinguished Achievement Award (1987) and the NASA Exceptional Scientific Achievement Medal (1982). At the Jet Propulsion Laboratory, Don Yeomans is a JPL Fellow, Senior Research Scientist, Manager of NASA's Near-Earth Object Program Office and Supervisor of the Solar System Dynamics Group. Dr. Yeomans was the Radio Science team chief for NASA's Near-Earth Asteroid Rendezvous (NEAR) mission. He is currently the NASA Project Scientist for the Japanese mission to land upon, and return a sample from, a near-Earth asteroid (Hayabusa) and he is a scientific investigator on NASA's Deep Impact mission that successfully impacted comet Tempel 1 in July 2005 and flew past comet Hartley 2 in November 2010. He provided the accurate predictions that led to the recovery of comet Halley at Palomar Observatory on October 16, 1982 and allowed the discovery of 164 BC Babylonian observations of comet Halley on clay tablets in the British Museum. His group at JPL is responsible for providing predictions for future close Earth approaches and impacts by comets and asteroids. Dr. Schwehm is currently the Rosetta Mission Manager in ESA's Directorate of Science and Robotic Exploration at ESTEC, Noordwijk, The Netherlands. He studied Physics, Mathematics and Astronomy at the University des Saarlandes, Saarbruecken, and the Ruhr-Universitaet Bochum, where he received a Ph.D. in Applied Physics (Extraterrestrial Physics) in 1979. At the Bereich Extraterrestrische Physik at the Ruhr University he was Assistant Professor until 1983, when he joined ESA-ESOC to support the preparation of the Giotto Halley Flyby. In 1985 he became staff scientist in ESA's Space Science Department and was nominated Deputy Project Scientist for ESA's Giotto Mission to comet Halley and later was Project Scientist for the Giotta Extended Mission that flew by comet Grigg-Skjellerup in July 1992. In June 1985 he took on in parallel the responsibility as Study Scientist for ESA's first Planetary Cornerstone Mission, the Comet-Nucleus Sample-Return, which later became Rosetta. For this mission he became subsequently Project Scientist and after the launch in March 2004 he took over to lead the mission as Mission Manager. In 2001 he was nominated Head of the Planetary Missions Division and in 2006 he moved to ESA's European Space Astronomy Centre close to Madrid, Spain, as Head of the Solar System Science Operations Division, being responsible for the management of all operational ESA solar system science missions. He retired from this position in March 2011 and returned to ESTEC. During his career he has played a leading role in a number of mission studies in ESA leading international science teams. He has been Co-I for dust instruments on a number of missions, including Ulysses, Galileo and Cassini. He has been a member of Interagency Advisory Groups and International Advisory Panels, e.g. the NASA Planetary Protection Sub Group and the COSPAR Planetary Protection Panel. He was elected member of the International Academy of Astronautics and asteroid 13724 was named Schwehm. Dr. Cheng is the chief scientist for the Space Department at The Johns Hopkins University Applied Physics Laboratory, Laurel, Md. Dr. Cheng has served as an interdisciplinary scientist on the Galileo mission to Jupiter, a co-investigator on the Cassini mission to Saturn, and a scientist on the Japanese-led MUSES-C asteroid mission. He was Project Scientist for the historic Near Earth Asteroid Rendezvous (NEAR) mission, which was the first to orbit (and eventually land on) an asteroid. He is a member of the MErcury Surface, Space ENvironment, GEochemistry, and Ranging (MESSENGER) mission team and principal investigator for the Long Range Reconnaissance Imager (LORRI) instrument on the New Horizons mission to Pluto and the Kuiper Belt. Dr. Cheng was previously the assistant supervisor for the Science and Analysis Branch and supervisor of the Planetary Exploration Group in the APL Space Department. He recently completed a one-year assignment at NASA Headquarters in Washington, serving as deputy chief scientist for Space Science in NASA's Science Mission Directorate. A resident of Potomac, Md., Dr. Cheng was named Maryland Academy of Sciences Outstanding Young Scientist in 1985 and has received five NASA Group Achievement awards since then. He is a Fellow of the American Physical Society and has authored more than 160 scientific articles. He holds a bachelor's degree in physics from Princeton University and a Master's degree and doctorate in physics from Columbia University. Dr. Paul Abell is the Lead Scientist for Planetary Small Bodies assigned to the Astromaterials Research and Exploration Science Directorate at the NASA Johnson Space Center in Houston, Texas. His main areas of interest are physical characterization of near-Earth objects (NEOs) via ground-based and spacecraft observations, examination of NEOs for future robotic and human exploration, and identification of potential resources within the NEO population for future resource utilization. Paul has been studying potentially hazardous asteroids and near-Earth objects for over 15 years. He was a telemetry officer for the Near-Earth Asteroid Rendezvous spacecraft Near-Infrared Spectrometer team and is a science team member on the Japan Aerospace Exploration Agency (JAXA) Hayabusa near-Earth asteroid sample-return mission. Paul was also a member of the Hayabusa contingency recovery team and participated in the successful recovery of the spacecraft's sample return capsule, which returned to Woomera, Australia in June 2010. Since 2006 Paul has been a member of an internal NASA team that is examining the possibility of sending astronauts to NEOs for long duration human missions circa 2025 and is currently the lead committee member of the Small Bodies Assessment Group chartered with identifying Human Exploration Opportunities for NEOs. 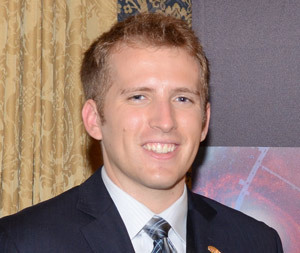 In 2009 he became a science team member of the Large Synoptic Survey Telescope (LSST) Solar System Collaboration tasked with identifying NEOs for future robotic and human space missions, and is also the Science Lead for NEO analog activities and operations of the NASA Extreme Environment Mission Operations (NEEMO) 15 project. John Baker is currently the Manager for the Human and Robotic Mission Systems Architecture Office and leads both robotic and human mission concepts for exploring the Solar System. He has been at JPL for more than 25 years and has held a variety of technical and managerial positions from spaceflight avionics design to formulating new missions. Damon Landau is an outer planet mission analyst at the Jet Propulsion Laboratory, where his primary interests are mission design and trajectory optimization. Before beginning his career at JPL, he recieved a Ph.D. in 2006 from Purdue University where he examined various strategies for the sustained human exploration of Mars. In February 2007 Damon moved to sunny CA to pursue the glamorous life of robotic space exploration. Currently his work focuses on the application of solar electric propulsion for missions to comets and all kinds of asteroids. Damon also performs trajectory analyses in preparation of Juno's arrival at Jupiter in July 2016. As a diversion to robotic missions, he worked on NASA's Near-Earth Asteroid Human Space Flight Accessible Targets Study to survey exciting locations for astronauts to visit. Dr. Kubota is a professor at Institute of Space and Astronautical Science (ISAS), Japan Aerospace Exploration Agency (JAXA), Japan. He received Dr. degree in electrical engineering in 1991 from the University of Tokyo. He is also a professor of the graduate school of the University of Tokyo. He is currently a co-chair of Space Education and Awareness Working Group of APRSAF. He was a visiting scientist in Jet Propulsion Laboratory in 1997 and 1998. He was in charge of guidance, navigation, and control in asteroid exploration mission HAYABUSA. He was also a member of development team of MINERVA. His research interests include exploration robots, AI in space, Robotics, Image based navigation etc. Ron Turner, Fellow: Analytic Services Inc.
Dr. Turner is a Fellow with Analytic Services Inc. He is an internationally recognized expert in radiation risk management for astronauts, particularly in response to solar storms. For nine years he was the ANSER point of contact to the NASA Institute for Advanced Concepts (NIAC), an independent institute charged with creating a vision of future space opportunities to lead NASA into the twenty-first century, and he is currently the Senior Science Advisor to the new, NASA Innovative Advanced Concepts Program. He was a Participating Scientist on the Mars Odyssey program. He is on the National Research Council (NRC) Committee on Solar and Space Physics, is Co-Lead of the Research to Operations working group supporting the NRC Heliophysics Decadal Survey, and recently supported the NRC Committee for the Evaluation of Radiation Shielding for Space Exploration (May 2008). He is on the Advisory Council to the National Space Biomedical Research Institute Center for Acute Radiation Research. He served on an NRC Committee looking at precursor measurements necessary to support human operations on the surface of Mars (May 2002). He was chair of the NRC Human Health and Support Technologies panel of the NASA Capabilities Technology Roadmap Review in 2005. He supported an NRC report on Space Physics Support to NASA's Exploration Vision. He earned his Ph.D. in physics from the Ohio State University. Mr. Drake is currently leading the future Mission Planning and Analysis activities for the Exploration Missions and Systems Office at NASA's Johnson Space Center. For the past several years Mr. Drake has led the Agency in the design and analysis of human exploration mission approaches beyond low-Earth Orbit including missions to the Moon, Near-Earth Objects, and Mars. Mr. Drake has been involved in various agency strategic planning activities for NASA's exploration efforts for over twenty years including the NASA 90-day study and the White House Synthesis group, Integrated Space Plan, Exploration Systems Architecture Study, and the Review of Human Space Flight Plans Committee (aka Augustine Committee). Previously, Mr. Drake served as Chief of the Advanced Missions & System Design Office for the Constellation Program and Interim Program Manager for the Lunar Prospector mission at NASA Headquarters and has served as the project lead for many design efforts at the Johnson Space Center. Mr. Drake graduated from the University of Texas at Austin with a Bachelor of Science degree in 1984 with a degree in Aerospace Engineering. Hopkins leads a team of engineers who develop plans and concepts for a variety of future human exploration missions, including visits to asteroids, Lagrange points, and the moons of Mars. He is responsible for the Plymouth Rock mission study for human exploration of Near Earth Asteroids using the Orion crew exploration vehicle. In a similar capacity he previously led Lockheed Martin's technical team to determine mission capabilities for the Altair lunar lander. During his 14 years with Lockheed Martin, Hopkins has focused most of his efforts developing space transportation systems and launch vehicles. He began as a trajectory analyst, first on the Athena commercial launch vehicle program, and then in a similar role for the Atlas V launch vehicle. Later, he became responsible for vehicle sizing and system design for a variety of reusable launch vehicle design projects for NASA and the United States Air Force. He has since helped design a variety of expendable and reusable launch vehicles, government and commercial crew transportation spacecraft, and robotic and human exploration vehicles such as lunar landers. Hopkins received the AIAA Summerfied Book Award in 2003 for coauthoring two editions of the International Reference Guide to Space Launch Systems, the Rotary National Award for Space Achievement Stellar Award in 2007, and a Lockheed Martin NOVA award in 2011. Lockheed Martin is an American global aerospace, defense, security, and advanced technology company with worldwide interests. It was formed by the merger of Lockheed Corporation with Martin Marietta in March 1995. It is headquartered in Bethesda, Maryland, in the Washington Metropolitan Area. Lockheed Martin employs 126,000 people worldwide. 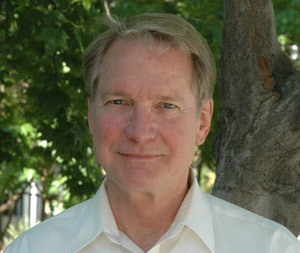 Robert J. Stevens is the current Chairman and Chief Executive Officer. Lockheed Martin is one of the world's largest defense contractors. In 2009, 74% of Lockheed Martin's revenues came from military sales. It received 7.1% of the funds paid out by the Pentagon. Lockheed Martin operates in four business segments. These comprise, with respective percentages of 2009 total net sales of $45.2 billion, Aeronautics (27%), Electronic Systems (27%), Information Systems & Global Solutions (27%), and Space Systems (19%). The Corporation reported 2010 sales of $45.8 billion, a backlog of $78.2 billion, and cash flow from operations of $4 billion. SpaceX (officially Space Exploration Technologies Corp.) is an American space transport company that operates out of Hawthorne, California. It has developed the Falcon 1 and Falcon 9 rockets, both of which are built with a goal of being reusable launch vehicles. SpaceX is also developing the Dragon spacecraft to be carried to orbit by Falcon 9 launch vehicles. SpaceX designs, tests and fabricates the majority of their components in-house, including the Merlin, Kestrel, and Draco rocket engines. In December 2010, SpaceX became the first privately funded company to successfully launch, orbit and recover a spacecraft (a Dragon). SpaceX was founded in June 2002 by PayPal co-founder Elon Musk who had invested US$100 million of his own money by March 2006. In January 2005, SpaceX bought a 10% stake in Surrey Satellite Technology Ltd. On August 4, 2008, SpaceX accepted a further US$20 million investment from the Founders Fund. The company has nearly doubled in size every year since it was founded in 2002, growing from 160 employees in November 2005 to more than 500 by July 2008, to over 1,100 in 2010. Musk believes the high prices of other space-launch services are driven in part by unnecessary bureaucracy. He has stated that one of his goals is to improve the cost and reliability of access to space, ultimately by a factor of ten. SpaceX became the first private company to successfully launch and return a spacecraft from orbit on December 8, 2010, after its Dragon capsule returned from a two-orbit flight. 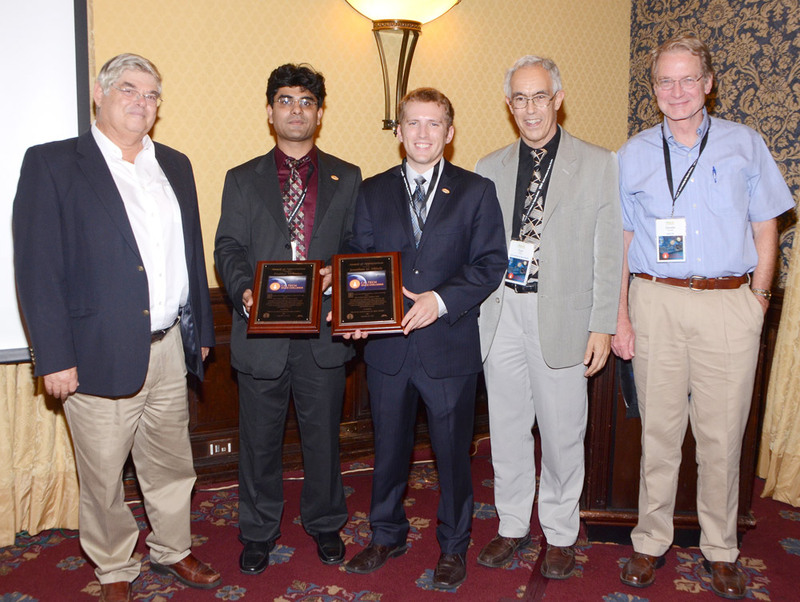 Space Foundation recognized SpaceX for its successful Dragon launch and recovery with the Space Achievement Award in 2011. Orbital Sciences Corporation is one of the world's leading space technology companies. Co-founded in 1982 by Chairman and CEO David Thompson, Orbital specializes in designing, building, testing and operating small- and medium-size satellites, rockets and other space systems that are highly reliable in their operations and are affordable for U.S. government, commercial and international customers. The company provides its space systems products to U.S. government agencies such as NASA, the Department of Defense and intelligence agencies, as well as to other national space agencies. Orbital also builds and launches commercial space systems for communications and imagery service providers around the world. Since its inception, Orbital has been at the forefront of offering commercially-based and innovative solutions for space activities. Today, Orbital is developing a system for NASA that will deliver essential supplies to the International Space Station (ISS), picking up where the now-retired Space Shuttle left off. In 2012, Orbital's Taurus II rocket and Cygnus cargo spacecraft are scheduled to carry out the first of what is likely to be numerous resupply missions to the ISS. Orbital employs almost 4,000 people, primarily in Virginia and Arizona. The company is expected to generate approximately $1.35 billion in 2011 revenues. AGI delivers mission-proven software for timely and cost-effective development and deployment of advanced space, defense and intelligence applications. AGI products are used for modeling, engineering and operations in the areas of space, cyberspace, aircraft, missile defense, C4ISR and electronic systems. They can be purchased as ready-to-use applications, development tools or turnkey solutions. At the Lockheed Martin Space Systems Company, James Crocker is responsible for space science, planetary exploration, and remote sensing, including programs for the Spitzer and Hubble space telescopes; Defense Meteorological Satellites; International Space Station; Geostationary Operational Environmental Satellites; Mars Odyssey, Reconnaissance Orbiter, Scout; Phoenix; Juno; Jupiter Orbiter; and the GRAIL lunar mission. Crocker conceived the idea for, and led the team that developed, COSTAR to correct the Hubble's flawed optics. As director of programs for the Center for Astrophysics, Johns Hopkins University, Crocker led the system design effort for the Advance Camera for Surveys (ACS), a scientific instrument installed in the Hubble Space Telescope in February 2002 that improved the performance of the telescope by an order of magnitude. As head of the programs office at the Space Telescope Science Institute, he led the team that readied the science ground system for operation of the Hubble Space Telescope through orbital verification and science operations on orbit. Crocker previously designed electronics for scientific experiments on SkyLab in support of NASA's Marshall Space Flight Center. 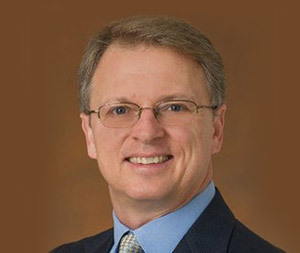 Crocker holds a bachelor's degree in Electrical Engineering from the Georgia Institute of Technology, a master of science degree in Engineering from the University of Alabama - Huntsville and a master of science degree in management from Johns Hopkins University. He is the recipient of numerous honors including the Space Telescope Science Institute Outstanding Achievement Award and two NASA Public Service Medals for work on the Hubble Space Telescope. Dr. Rolf Danner is a senior scientist in the Science and Weather Systems section at Northrop Grumman Aerospace Systems. At Northrop Grumman, Rolf's focus is on developing astrophysics missions and related technology. Prior to joining Northrop Grumman, he was a research scientist at NASA's Jet Propulsion Laboratory and taught introductory astronomy at the University of Southern California. Rolf holds a PhD in experimental Physics from the Technical University Munich in Germany. He pursued undergraduate and graduate research at the Max Planck Institute for Extraterrestrial Physics in Germany, the European Space Agency in the Netherlands, at the California Institute of Technology and at observatories throughout the United States. Rolf is the author of numerous scientific research as well as popular science level articles on neutron stars, X-ray astronomy, optical interferometry and mission and instrument design. 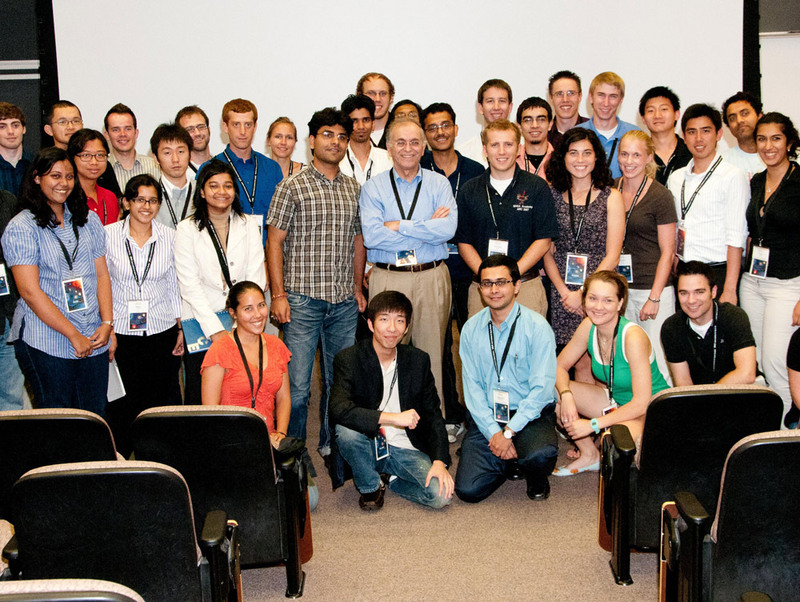 Dr. Paul Dimotakis is the John K. Northrop Professor of Aeronautics and Professor of Applied Physics at Caltech, serving as the Jet Propulsion Laboratory Chief Technologist from 2006 to 2011. He earned his B.Sc. in Physics, his M.Sc. in Nuclear Engineering, and his Ph.D. in Applied Physics from Caltech. He stayed on as a member of the Caltech faculty, as Assistant Professor, then Associate Professor, and Professor. His research has focused on experimental, computational, and theoretical investigations of turbulent-flow phenomena, with an emphasis on turbulent transport and mixing, in chemically reacting and non-reacting flows, and combustion. He and his co-workers have developed experimental facilities and laser diagnostics, and introduced advances in signal processing, high-speed digital temporal- and image-data acquisition techniques, high-speed CCD imager design, and image-data processing. 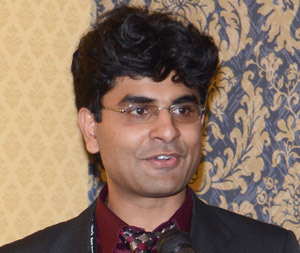 His research has also included work on active control of separated flows, studies of cavitation, hydrodynamic stability and gasdynamic simulations, image-correlation techniques for velocity-field (optical-flow) measurement, multi-dimensional measurements, aerooptics effects, and work on adaptive optics. In space-related activities, he worked on an Orbital Geophysical Observatory (OGO-C) satellite in the 1960s and, shortly after launch, solved for the satellite attitude as a function of time when the spacecraft attitude-control system failed; he contributed to the development of the Space Shuttle aerodynamics, assisted with the analysis of the Galileo antenna deployment anomaly, participated in early discussions on the Mars Pathfinder mission landing system, and in the analysis of prelaunch test data of the SIRTF-Spitzer cryostat tank. In work outside Caltech and as a consultant, he contributed to the development of early pilotless drones, high-power chemical lasers, the stealth fighter, assisted in the internal aerodynamics of sealed computer (Winchester) disks, helped with the fluid mechanics design of the "Leap-Frog fountain" at Disney's Epcot Center in Florida, helped develop precision solid-state pressure transducers, participated in experiments at the Lawrence Livermore Nova laser facility, and subsequently assisted with compressible and incompressible turbulence problems, in general. He is a Fellow of the American Physical Society (APS), the American Association for the Advancement of Science (AAAS), and the American Institute of Aeronautics and Astronautics (AIAA), and serves and has served on advisory panels to the U.S. government. Dr. Frerking is the Associate Chief Engineer at the Jet Propulsion Laboratory. Her prior assignments include serving as Kepler deputy project manager, Herschel and Planck project manager, MIRO project manager, assistant manager for the Microwave Observational Section, Submillimeter-Sensor Program technologist, cognizant engineer for the detectors on the Microwave Limb Sounder, and radio astronomer. Dr. Frerking is a recipient of the JPL Director's Research Award, Women at Work Award Metal of Excellence, of the NASA Exceptional Achievement award, and two NASA Outstanding Leadership Awards. Dr. Frerking received her bachelor and doctor of philosophy degrees in physics from the Massachusetts Institute of Technology, Cambridge MA. Scientist. Between May 2001 and June 2006, Prince was the Chief Scientist at JPL. He is currently Director of the W.M. 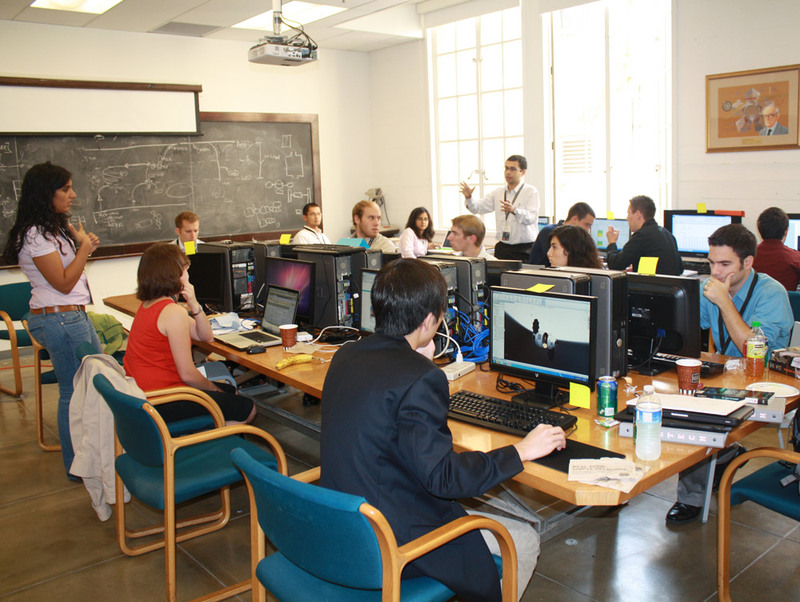 Keck Institute for Space Studies at Caltech. Detection and study of neutron stars and black holes has been a continuing theme in Prince's research, starting with his gamma ray observations of compact objects in the galactic center region. He participated in several expeditions to the Australian outback in the late 1980's to make balloon observations of the radioactive decay energy from Supernova 1987a. gravitational wave astrophysics. He has been the US Mission Scientist for the Laser Interferometer Space Antenna (LISA). Most recently Prince has become interested in using large-area synoptic sky surveys for detection of compact binaries. He is a member of the Palomar Transient Factory team. Garrett Reisman is responsible for working with NASA to prepare SpaceX's Falcon 9 rocket and Dragon spacecraft to carry astronauts. Reisman's experience as an operator of both American and Russian spaceflight hardware will help SpaceX in the development of human interfaces including controls, displays, seats, suits and environmental control systems. Reisman came to SpaceX from NASA where he served as an astronaut starting in 1998. He has flown on two space shuttle missions, during which, he logged over 3 months in space including over 21 hours of extravehicular activity (EVA) in 3 spacewalks. Dr. Reisman served with both the Expedition-16 and the Expedition-17 crews as a Flight Engineer aboard the International Space Station. Dr. Schwehm is currently Rosetta Mission Manager in ESA's Directorate of Science and Robotic Exploration at ESTEC, Noordwijk, The Netherlands. Mr. Steffy joined Orbital Sciences Corporation in 1987 and currently serves as Chief Engineer of the Advanced Programs Group. He previously led the Taurus II Program to develop a new medium-class launch vehicle. Earlier, he managed the group's defense space systems business area. Mr. Steffy also was Senior Vice President and Deputy General Manager of the GEO communications business area where he was responsible for Star-1 programs, launch vehicles and support of new business efforts. Prior to assuming these responsibilities, Mr. Steffy was Program Manager for the BSAT-2a/b programs where he led the development of two direct-broadcast satellites for Japan. Earlier, he led the ORBCOMM Flight Model 1 & 2 program and the follow-on ORBCOMM constellation program to develop, build and fly 34 sophisticated LEO communications satellites. Mr. Steffy holds three patents from the development of these satellites, which originated Orbital's on-going MicroStar product line. Mr. Steffy joined Orbital 23 years ago as the systems engineering manager for the development of the Pegasus launch vehicle and was the vehicle engineer for the first flight. 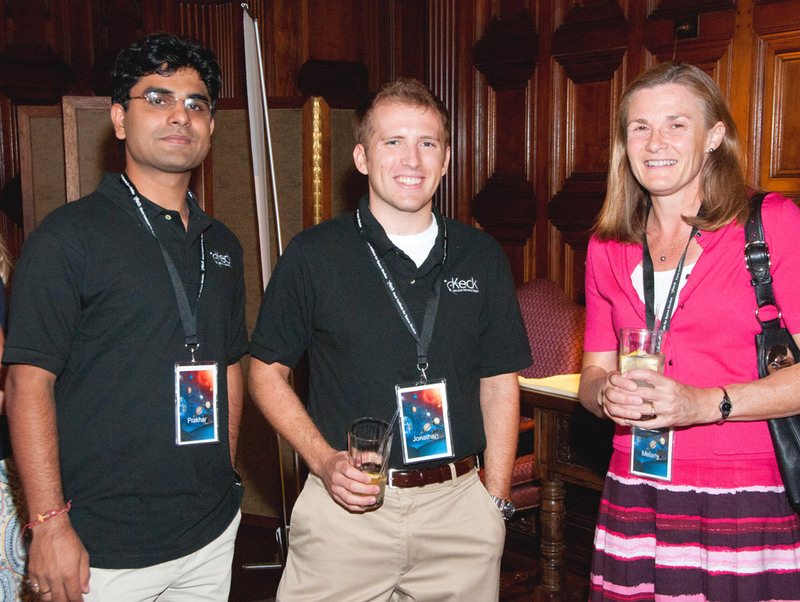 He has also held key roles in Orbital's initial expansion into satellites. Previously, he worked in various systems engineering positions at Hughes Space and Communications (now Boeing Satellite Systems) on communications, defense and planetary satellites. Mr. Steffy holds B.S. and M.S. degrees in Aeronautics and Astronautics from the Massachusetts Institute of Technology. He resides in Great Falls, Virginia with his wife and four children. "AGI_Astrogator Manual", Analytical Graphics Inc.
"Interplanetary Trajectories in STK in Few Hundred Easy Steps", Satellite ToolKit Interplanetary Tutorial, STK Version 9, Analytical Graphics Inc.
"A Comprehensive Ongoing Survey of the Near-Earth Asteroid Population for the Human Mission Accessibility", Barbee B.W., et al, AIAA Guidance, Navigation and Control Conference, 2-5 August 2010, Toronto, Canada. "Future Human Spaceflight: The Need for International Cooperation", International Academy of Astronautics (IAA) November 2010. "ASTEX:An In situ exploration mission to two Near-Earth Asteroids" Nathues A., et al, Advances in Space Research 45 (2010) 169-182. "Target NEO: Open Global Community NEO Workshop Report"
"300-kW Solar Electric Propulsion System Configuration for Human Exploration of Near-Earth Asteroids" Brophy J. et al.